Snuggle with the softest bedding. "The softest, most comfy, dreamy, silky, smooth sheets I have ever touched. Will never buy any other fabric for my bed now." "It's very hard to get out the bed now, thanks for the world's softest most luxurious sleep. #addictedtoettitude"
"They make my 1300 thread count Egyptian cotton sheets feel like sandpaper. Best sleep of my life." texture that is similar to silk, but not as shiny and slippery. Suitable for people with sensitive skin or night sweat. Snuggle with the softest, dreamiest bedding. 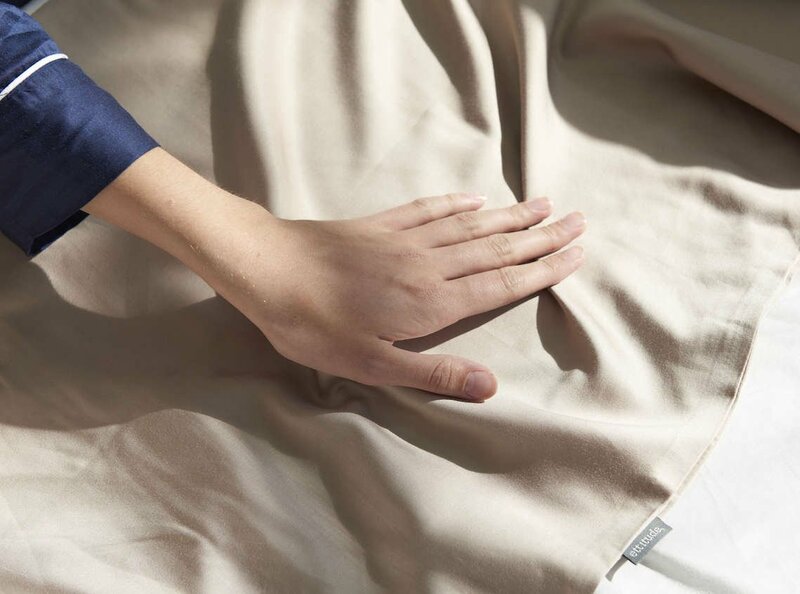 Bamboo lyocell has a unique silky smooth and feathery soft texture that is similar to silk, but not as shiny and slippery. This magical fabric is also extremely breathable, hypoallergenic, antimicrobial and temperature regulating. Suitable for people with sensitive skin or night sweat.